The University of Chicago women’s tennis team took part in the quarterfinal round of the NCAA DIII team national championships yesterday in Chattanooga, TN. The quarterfinal round featured some of the best tennis teams in the country playing at Champions Club Tennis Complex at Rivermont Park. However, the men’s tennis team did not travel to Chattanooga after losing to Gustavus Adolphus College in the third round of the tournament. The Maroon men are disappointed after being ranked sixth overall and boasting an 18–5 record before the postseason. The squad fell 2–1 behind after doubles play, with the duo of Ninan Kumar and Erik Kerrigan picking up the victory for the team. After that, singles were an even split, with the bottom three Maroon lineup spots all clinching victories after the top three had fallen at the hands of the Gusties. While Kumar and third-years Luke Tsai and Peter Leung won their singles, it all boiled down to the second singles, which Kerrigan lost 4–6, 7–6, 7–5. On the other hand, the No. 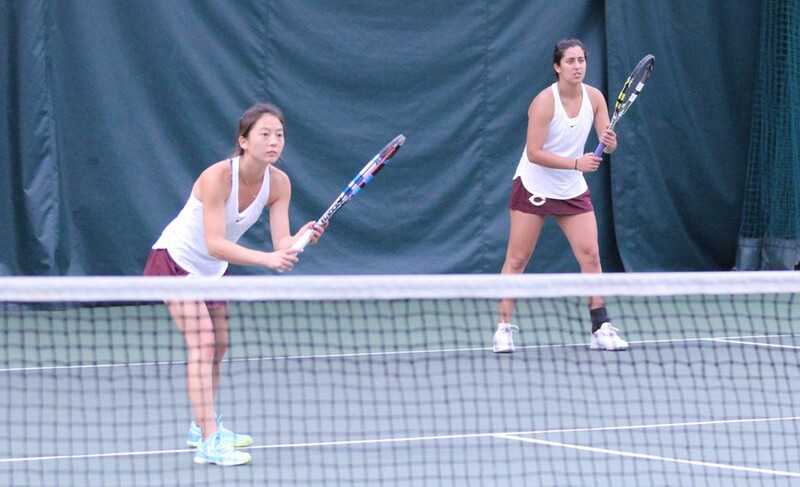 9 UChicago women's tennis team did make it to Chattanooga and played No. 4 Williams College (17–4) in the NCAA quarterfinals on Monday morning. The appearance marked the women’s tennis team’s 10th consecutive postseason appearance. The team was looking to avenge its loss to Williams last year but was unable to pull it off. They lost 5–3, going 2–3 in singles matches (with a sixth game unfinished) and dropping two of three doubles matchups as well. The result is disappointing, but it caps off a remarkable season for the team, which looks to come back at almost full strength next year with only one departing fourth-year, Tiffany Chen. In addition, the NCAA singles and doubles championships will run from Thursday to Saturday, May 25–27. Four South Siders earned inclusion in the 32-player singles draws and 16-team doubles brackets. Third-year Ariana Iranpour will represent the women for the third consecutive year while third-year Nicholas Chua is also representing the Maroons in singles competition for the third year straight. Kerrigan will also take part in the singles tournament and will be joined by Kumar for the doubles championship.